The Terminator can appear in any game at any time during the day and engage any player of his choosing in a gunfight, if the player accepts his challenge. If he spots you and wishes to engage in a gunfight he’ll raise his guns and point them in your direction. This gives you two choices – you can either ignore him and hope that he’ll find a new opponent or you can open fire and take on the Terminator in a one on one gun battle! If he deems you a worthy opponent, he will surrender one of his markers to you for you to use for the remainder of the game. Although it might seem like a bit of a gamble, it’s the only way to get your hands on the Terminator’s awesome machine guns! The Terminator’s BT4 Combats are the real deal – .68 calibre, semi-automatic, lightweight frame with the ability to fire 13 paintballs per second! 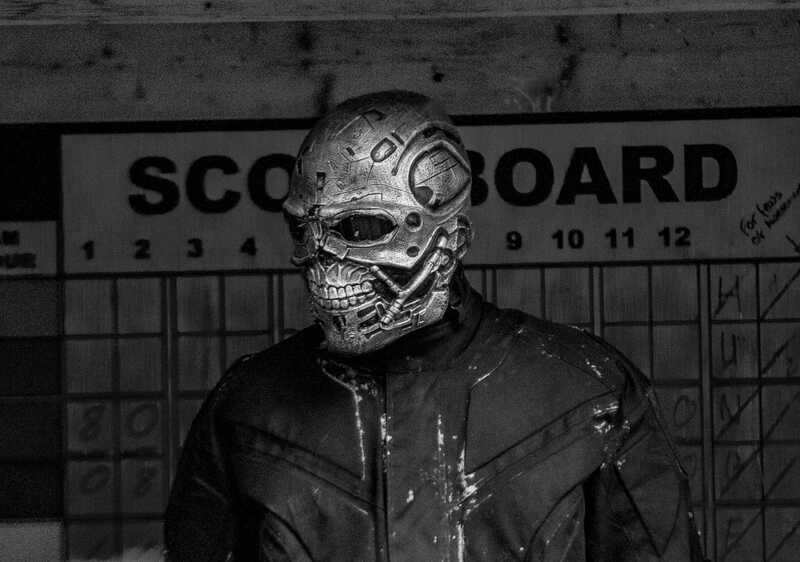 These markers can really give you the upper hand in any paintball game so the next time you play paintball at a Delta Force centre, keep an eye out for the Terminator! When you come down to the woods today, you’ll be in for a big surprise! 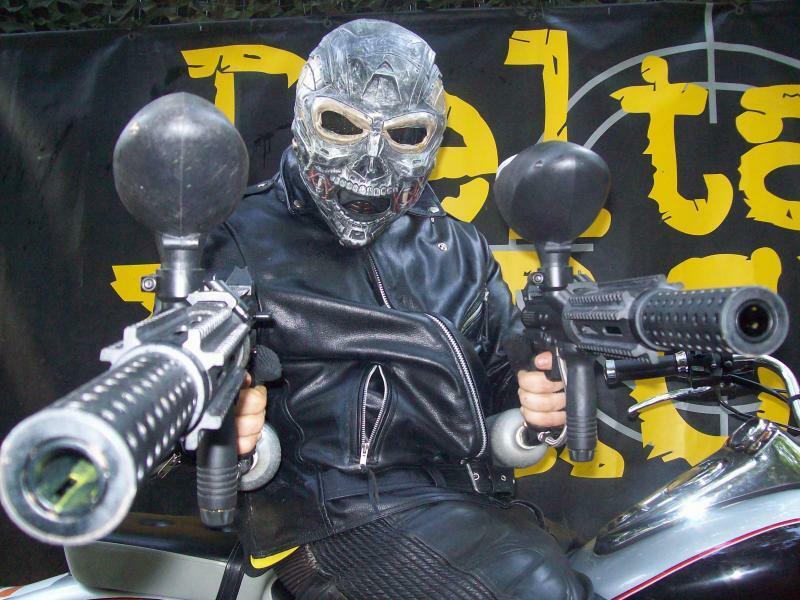 Introducing Delta Force Paintball’s most feared recruit – our very own cybernetic paintball machine known only as The Terminator. Deciding to take your chances and do battle with The Terminator is well worth the effort, because if he deems you a worthy opponent, he will surrender one of his markers to you for you to use for the remainder of the game. 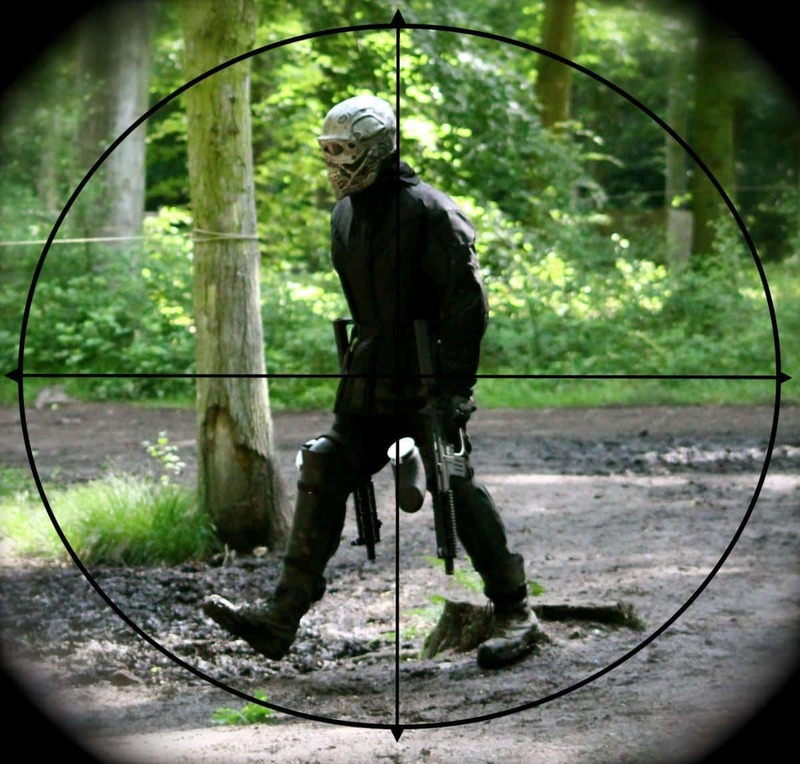 Although it might seem like a bit of a gamble, it’s the only way to get your hands on one of his awesome machine guns and these babies are something special – .68 calibre, semi-automatic, lightweight frame with the ability to fire 13 paintballs per second! These markers can really give you the upper hand in any paintball game, making you and your team a force to be reckoned with. So the next time you’re happily eliminating the enemy and the ominous shape of the Delta Force Terminator comes into view, show him why you’re the Top Gun of the team!